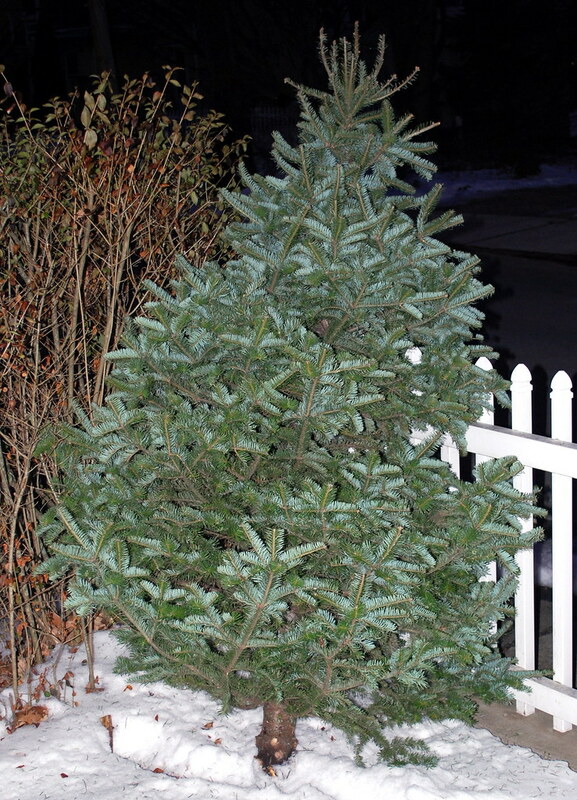 It always gives me a twinge of guilt when the time comes to stick our former tree by the side of the curb and wait for the mulching to begin which may be part of the reason why it took me so long to finally get our Christmas tree out of the house this year. Well, that and I smacked myself a good one on the top of my head last week during the initial taking-down of the tree and it took me another week to finish the job! However, the living room is back to just being the living room now and I'm thinking the spot where the Christmas tree was would be an ideal place for a treadmill. No sense wasting all that space, right? While I ponder that some more, everyone have a great Thursday but before you do that, please pop over to Captain Picard's Journal and ask the Captain to pass along birthday greetings to his good friend, Graham, who is celebrating - I hope! - over in England today! Ya know Linda, it seems to me I read in a magazine or some such place like that about people taking their trees out and putting them up outside -when they are through with them for the holiday season, of course -and then, trimming the tree with strings of popcorn, cranberries and such and let the tree finish out its life as a makeshift bird feeder. Sounded like a neat thing to me but not a wise idea when one has an artificial tree as my family has had for the past 15 years now. Just some food for thought maybe for our fine-feathered friends, ya know. Walking thru TY park yesterday they were mulching the Christmas trees...sure smelled good! Artificial for us, and burn nice woodsey candles. We always threw our used trees in the lake as a fish habitat. We took our tree down last week. We put the tree up right after Thanksgiving and it comes down, along with all the other decorations, the day after Christmas. We have an artificial tree so I don't feel that sadness. I remember feeling it when we always had fresh cut trees though. Yeah on the treadmill. That's my form of exercise. If it makes you feel any better, Linda, the trees you buy in the lots during the holidays don't come from a forest, they come from farms, so mulching them is the best thing you can do for them. :) My tree is still up, by the way. 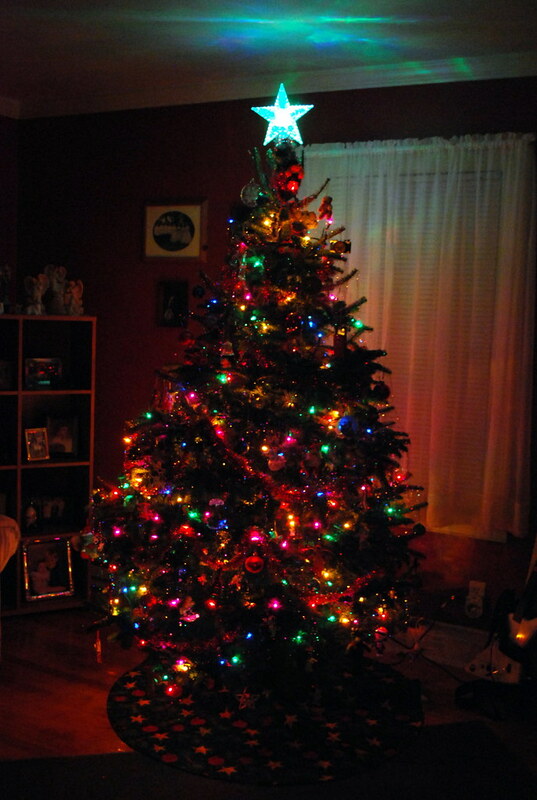 . .
decorated and lit Christmas trees are wonderful. I've never had an artificial one. It is kinda sad to take it down...but the two weeks after Christmas is always crazy, and I forget pretty quick. Thanks for the mention of my birthday, Linda. I've had a great day. I booked the day off so I could enjoy it all the more! That guilt might be at least a small part of why we don't do real trees anymore. We took down our artificial tree two days ago. I hate to take it down. I have a friend who keeps a tree up all year, and decorates it for the various holidays. I imagine she still does it. Of course, the other way to look at it is that the tree is recycled and becomes part of resource renewal. I will say that the only thing I miss about having a real tree during the season is going out and shopping for it. I have so many fond memories of searching for the "right" tree. But all the rest of the things that go with having a real tree...I don't miss that at all. I know what you mean, I hate seeing my tree by the curb side as well when Christmas is over:-( Wish I could just plant it in my backyard and it would grow! lol I've heard somewhere that they are going to start selling live trees, roots and all, in big pots so that people can transplant them outside afterwards. I know they already sell small trees like that but I'm talking 6 to 8 foot trees!! My living room seemed so empty without all of the Christmas decor!